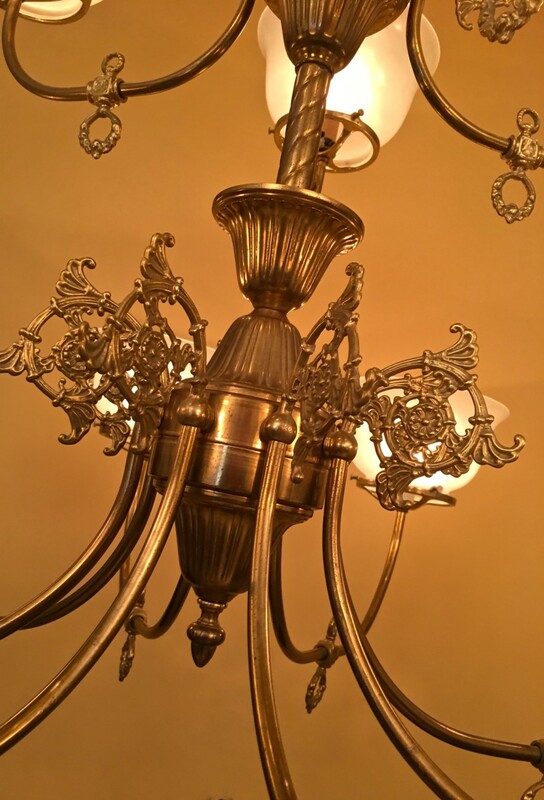 A little over two years ago I came across a huge pair of chandeliers made by the well-known Rejuvenation Company. 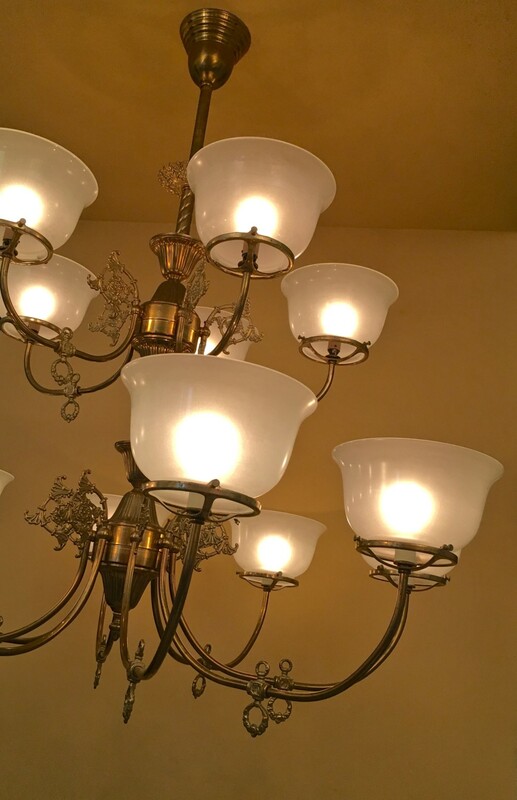 The chandeliers were styled after Victorian-era gas fixtures. And they were HUGE! A whopping 39-inches wide. The architectural salvage company selling them were people after my own heart. 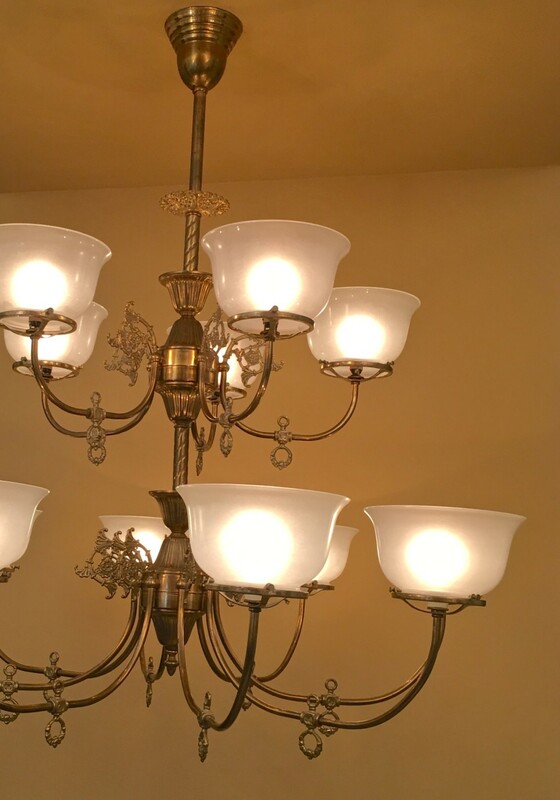 The chandeliers had been treated quite badly and were in rough shape. The many arms (13 on each fixture) were crazily askew and all the glass shades were gone. The seller had no interest in restoring the fixtures but hoped that somebody, somewhere, would undertake the task. I purchased the monumental pair. And for several years the pitiful, abused lovelies sat in my vast storage vaults. Oh my! I had no idea! The shades are etched glass. I love all the many arms. And beautiful details. 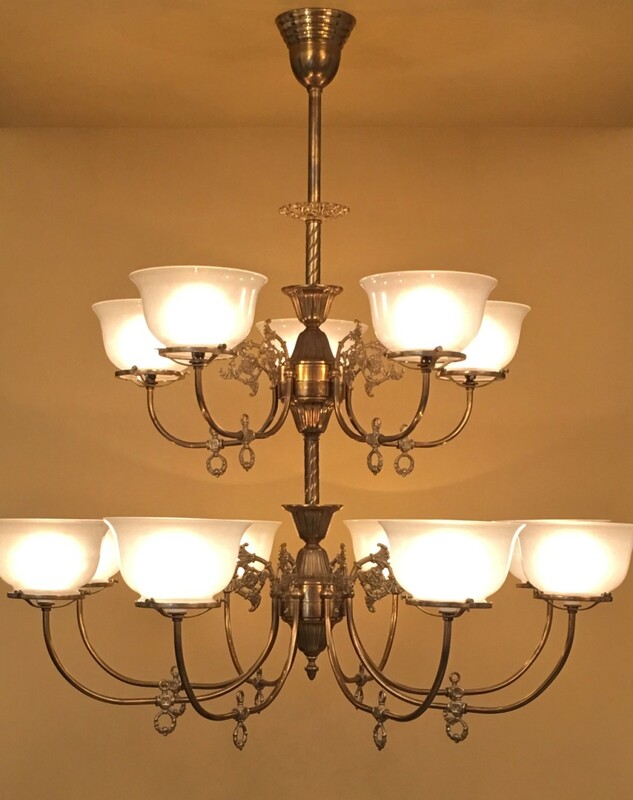 The chandeliers are scaled for a restaurant or loft. What about the entrance hall/foyer? Is the space large enough to accommodate the scale?? That is an amazing piece & your artistry worked wonders!!!! The chandeliers are WAY too large for even the Cross House! Also, they are not gas/electric, which is what I am looking for.